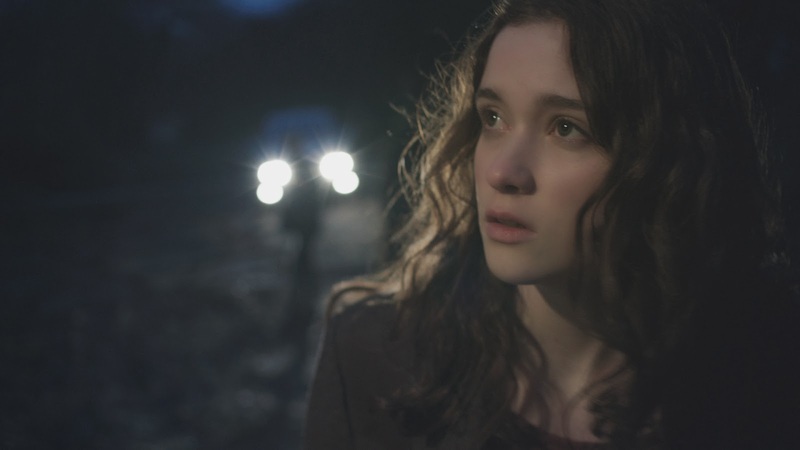 Lucy (Alice Englert) goes out in the woods. At night. Do you see where she went wrong? Oh good, another po-faced meager-budgeted horror movie in which a small number of people get lost out in the sticks at night. Really? C’mon. Really? Are we still stuck on this? That was my sarcasm-spiked inner monologue upon seeing the trailer for In Fear stacked back-to-back with the equally uninspiring promo material for The Haunting In Connecticut 2: Ghosts Of Georgia when they were both offered up 6 weeks or so ago when I saw Insidious Chapter 2. Now, I’m a defender of modern horror in certain respects. If the last year has proven anything with the likes of Excision, American Mary, V/H/S 2 and You’re Next, it’s that there’s plenty of life and creativity left in the old dog yet. Yet still some of the hoariest staples are trotted out over and over again with the same generic, joyless spirit. A spirit that’s shrewd and without heart. The kind of thinking that says horror is easy and horror is inexpensive, let’s make more of it and go home early. Well, horror may be cheap, but cheap thrills don’t make good horror. And good horror isn’t easy. Fortunately, In Fear proves that you can do some very effective work on a small scale. Director Jeremy Lovering (who has a proven track record in television and here helms his first feature presentation) offers us a micro-sized high concept film – two people in a car lost at night – and runs with that as far as it can go. Our subjects are Tom (Iain De Caestecker) and Lucy (Alice Englert), a young couple still finding their stride having known each other for just two weeks. Tom, in a game effort at sparking some fireworks, has asked Lucy to go to a festival in Ireland with him, and has booked a hotel for them for the night before. Lucy, believably wary, has agreed. We meet them on the road to the hotel, a road – potentially – to nowhere. They’re a likeable pair; Lucy seems to have a sensible head on her shoulders, while Tom is trying to please, bringing the funny when he can. But guess what? Now they’re in a remote country location, the locals aren’t much fond of newcomers and they start playing tricks on our young heroes. Tricks like moving the signs to the hotel. Pretty soon, and with remarkable effectiveness, In Fear taps exactly into some very simple paranoia. Lucy lets her fear play out in the open, while Tom masks his with frustration and stubbornness. His transition might feel a little irksome, but it’s also very believable as the darkness descends and the hedgerows crowd in on them. Things only intensify when it becomes clear that the problem with the locals might not be that they don’t want visitors, but that they’ve been waiting for some. Bring on the malicious mind games. This is the second film in as many weeks to strip itself down to two characters detached from the world in a seemingly unforgiving night. Okay, nobody’s going to mistake In Fear for Gravity, but in some fundamental way they are connected as intense, claustrophobic survival stories. By necessity, obviously, Lovering’s film plays on a much smaller scale, prying as much inventiveness as possible out of its conceit that, yes, we’re going to follow just these two people and their car. That the story told manages to keep them in or around the vehicle from start to finish without feeling wholly contrived is a measure of the smart plotting involved. Only rarely does one situation really over extend itself to the point where less would’ve been more. With such limited resources to play with, the performances had better be good. Fortunately they are, although the balance lands slightly in Englert’s favour as Tom’s fraught behaviour and recurring bad decisions make him less easy to sympathise with. But this is kind of integral to part of the story told as well. The paranoia that rises doesn’t limit itself to outside of the car. It was Tom that arranged all of this, wasn’t it? Couldn’t he be an accomplice, drawing Lucy further and further into the web? Lovering plays this suggestion very subtly, but it works to build tension and a palpable disconnect inside the car, one that could prove disastrous. And then there is Allen Leech as Max, a surprise(?) 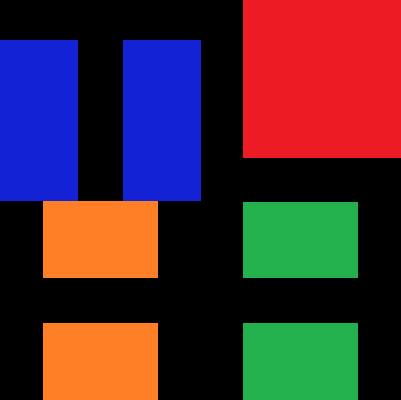 third party who enters the film in its second half. Leech is probably suffering the most in getting praise or notice for In Fear thanks to the pivotal nature of his appearance late on in proceedings. I don’t want to talk about his role here, suffice to say that he doesn’t let the side down and brings exactly what is needed just when Lovering’s scare factory starts running on fumes. So a success then? Largely, yes. Lovering doesn’t cheat with just how dark it is in the countryside at night – lights are used judiciously – and he manages to get away with more one than one jump-scare, letting the audience know that they’re hooked early on. As things escalate, there’s a decent adherence to the possible and the plausible. Lamentably, it’s only in the last ten minutes or so, when the film reaches for a bigger, more menacing finale, that a sense of the preposterous starts tapping at the windows and fiddling with the wipers. The final moments feel out of step with the rest of the picture, where the mundane was the filmmaker’s weapon and the fantastic was left in our minds. Nevertheless, this is far from the tedious retread I was expecting, thanks largely to the engaging young leads and a commendable level of creativity with such a reductive premise. It might not beat anything on that aforementioned list, but it’s at least a sturdy entry in horror’s busy catalogue and an atmospheric and proficient first feature for Lovering. Next Why I Love… #58: Airplane!